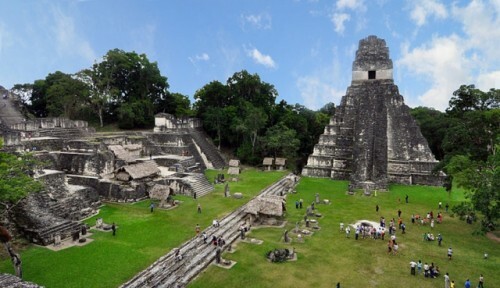 Visit exotic Guatemala: cheap flights for €469! Delta Airlines now offer cheap flights to Guatemala! Visit this beautiful country and discover the wild jungle, Mayan ruins and active volcanos! Return flights from Berlin to Guatemala City are available for €469. Regular price for this destination is at least €200 more and there aren’t many promos so this is a great opportunity if you have been thinking about visiting Central America. Travel dates are limited for Winter 2013/2014. ESTA ($15 online) or transfer Visa for USA is required for this flight. Guatemala is pretty cheap and you can get hostels from approx €5 per night – check all accommodation options. Use our search engine to compare all the booking sites at once. « Cheap flights from Krakow to London for only €24!